The Spokane County Jail contracted with a third-party medical provider. 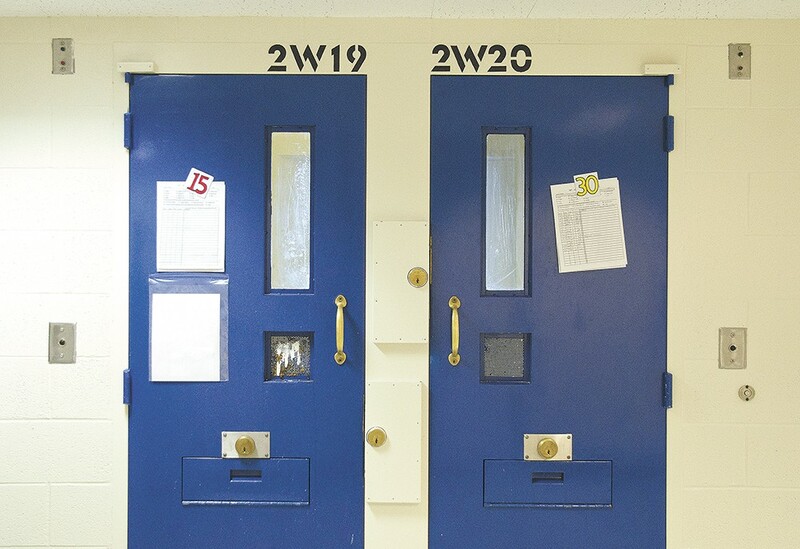 A new report from Disability Rights Washington, a statewide advocacy group, has found that most jails across Washington state fail to ADEQUATELY SCREEN INMATES for brain injuries, cognitive disabilities or mental health disorders. As a result, according to the report, inmates with these conditions are more likely to harm themselves or others, have more rule violations, be taken advantage of by others and be deprived of accommodations and support that they are legally entitled to. The report is based on visits to each county jail and reviews of each institution's policies, a process that wrapped up in the spring of this year. It found that Kitsap and Island are the only two counties in the state that screened inmates. Larger counties, including Spokane, failed to conduct these screenings, according to the report. Shortly after DRW finished its review, Spokane County Jail contracted with a third-party medical provider in May to screen inmates for these conditions, says John McGrath, director of county detention services. "We recognized the importance long before [DRW] showed up," says McGrath. A "grocery store on wheels" may cruise through northeast Spokane as early as next year. The Zone, a collaboration project created to address poverty and education issues in northeast Spokane, has received a grant of $85,000 to help alleviate food insecurity in the area. A majority of that money will go toward creating a MOBILE MARKET — either a bus or paratransit vehicle — that will make its way to high-density, low-income housing complexes in northeast Spokane, giving residents easier access to healthy and affordable food. The idea is modeled after a Minneapolis project called the Twin Cities Mobile Market, says the Zone director Andre Wicks. It will coordinate with local grocers, farmers and food banks so it can sell foods at or below market prices. Eventually, Wicks says, the goal is to be able to couple the mobile market with services to educate residents about healthier eating habits. Wicks calls northeast Spokane a "food desert," because of the lack of grocery stores or farmers markets in the area. The $85,000 grant for the project came from the Smith-Barbieri Progressive Fund. "Providing a critical need to highly collaborative and dedicated community partners who are laser-focused on a specific area made this a very easy decision for the Fund," Sharon Smith, co-founder of the Smith-Barbieri Progressive Fund, said in a statement. Wicks estimates that about $65,000 will be dedicated to the mobile market. The rest of the money will be devoted to creating what he calls "Green Schoolyards," gardens on school grounds in northeast Spokane where students, staff and the community can learn about growing and preparing fresh foods to be used in school kitchens.